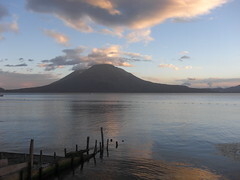 PASO focuses its efforts primarily on supporting indigenous Mayan people in the Lake Atitlan region of Guatemala. It works cooperatively with other Canadian groups and individuals with similar interests and goals. While some of PASO’s directors visit Panajachel each year to oversee our program initiatives, PASO utilizes the expertise of others to implement its programs. Most of PASO’s efforts are supported through the Guatemalan non-profit organization called Mayan Families. Mayan Families’ main operational base is in Panajachel where it has built strong community connections, cultivated good relationships with municipalities, local institutions and service, earned the respect of ordinary indigenous people, and offers multi-lingual communications.